Face the world’s richest drivers in high-speed races through traffic. Experience amazing 3D graphics and a unique feeling of speed. Choose from 10 dream cars and bikes from the world’s most prestigious manufacturers, such as Ferrari and Bugatti, and zoom through the streets of Monte Carlo, New York, Shanghai, Paris, Dubai, and Beverly Hills to make your mark. Check your rides in your own garage and spend millions to tune them. The police await you in each city with roadblocks and helicopters to try and seize your expensive toy. Can you become the ultimate VIP of urban racing? 10 dream cars & bikes including the Bugatti Veyron, Ferrari F430 Spider, Nissan GT-R, Ducati 1098. Race in 6 of the world's hottest cities: Monte Carlo, Beverly Hills, Shanghai, NYC, Dubai, Paris. Amazing 3D graphics providing breathtaking speed sensations! Tune your rides in your own luxury garage! 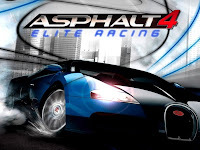 Enjoy 5 extreme racing modes such as cop chase, drift, and beat'em all. Adapt your driving style to the weather conditions: Can you control your car under heavy rain?